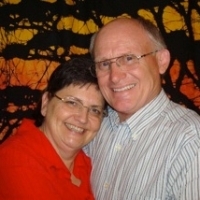 Frank and Lois have been International Missionaries since 1985. They have served as church planters in Equatorial Guinea, Namibia and Swaziland. In 2005 they joined Convoy of Hope in the clean and safe water project. They worked with nationals to make effective filters for drinking water that could be locally produced. Frank and Lois then joined Sustain Hope in June of 2010 with a passion to both reach people with the Gospel and help them to have improved lives. The purpose of Sustain Hope is to be a Christ– centered approach to improve lives through community initiated sustainable solutions that utilize local resources in areas of agriculture, alternative fuels, water and sanitation.